One difficult passage within the pastoral epistles is the expectation that an overseer “manage his own household well, with all dignity keeping his children submissive, for if someone does not know how to manage his own household, how will he care for God’s church?” (1 Tim 1:4–5; ESV). The requirement and its basis are straightforward and sensible. Paul formulates his argument from the lesser to the greater: he who fails to properly manage the little that has been given him will fail to properly manage the greater things should they be entrusted to him. Where, then, in lies the difficulties? Picking up almost any modern commentary suggests that there are no difficulties, since few go beyond the simple observation that Paul establishes an analogy between the household and the church wherein mismanagement in the household functions as a litmus test for one’s suitability as a leader in the church. The thought expressed here — that performance in the private sphere bears on suitability to hold a position of wider responsibility — is paralleled in secular Greek ethics (481). Marshall and Towner suggest the possibility that Paul draws upon the cultural expectations of his time concerning how citizens were expected to behave within the broader context of the city-state. If Paul indeed draws upon this cultural framework, it’s important to investigate what “performance in the private sphere” entailed as adequate justification of one’s “suitability to hold a position of wider responsibility.” And, just as important, what disqualified or caused others to question one’s suitability to hold a position. Having examples from ancient literature would aid modern readers in their quest to discover what exactly this requirement entails. I came across some confirmation of Marhall and Towner’s thesis tonight in my reading of Odd Magne Bakke’s fantastic volume Concord and Peace. Bakke discusses Greco-Roman household codes and the importance of maintaining concord (ὁμόνοια) both inside and outside the household. Concord, harmony, and the absence of dissension and rebellion were, for the Greco-Roman world, vital virtues (124). They must try to preserve harmony (ὁμόνοια), not only in the states over which they hold dominion, but also in their own households (τούς οἴκους τοὺς ἰδίους) and in their places of abode (124). This fellow is giving us advice about concord (συμβουλεύει περὶ ὁμονοίας), and yet in his own household he has not prevailed upon himself, his wife and maidservant, three persons only, to live in concord (ὁμονοεῖν)…A man therefore ought to have his household well harmonized who is going to harmonize State, Forum and friends (124). The similarities between these two analogies and the common expectation of order within the household as a measure of one’s aptness to maintain order within the city-state/church seem apparent. But is there more in the literature that can be helpful enfleshing the expectations of a leader? Demaratus’ criticism of Philip identifies the presence of quarreling and dissension in his household and judges them to be signs that Philip has demonstrated himself an ineffective leader. But are there any other examples? Furthermore, is there any evidence of how patriarchs within the Greco-Roman world handled dissension or disagreement within their households in commendable ways? Finally, and most importantly, do the secular expectations of a qualified leader map to what Paul envisions in 1 Timothy, and if so how well? Answering these questions would go a long way in assisting modern readers in their interpretation of this passage. For, simply reiterating Paul’s requirement and reasoning does little to aid us in defining exactly what it means to manage one’s household well and keep children in submission with dignity. It’s about an episkopos and not about an elder. The reason for stating this (apart from accuracy for its own sake) is that, NB, provisioning the household/state is also part of the topos of management. Thus Philo De Josepho 38-39. Good catch. I subconsciously read my own theological tradition’s application into the passage and simply assumed that “elder” was in view instead of episkopos. The post has been edited appropriately. Your consciousness of subconciousness is duly noted and applauded. 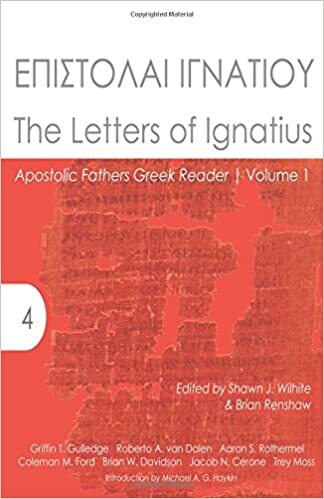 Since you are plugging Tertullian in another posting, as his channel I should also take this chance to plug Original bishops (http://www.bakerpublishinggroup.com/books/the-original-bishops/345490)! After reading that your subconscious will be reshaped and you won’t make that error again! And if you need an excuse, there are some comments on I Clement. Jacob, given that fathers had absolute authority over their wives, children, and slaves in the Greco-Roman world, if they couldn’t control what was going on in their homes it certainly was a reproach to them. I think the literature you’d want to sink your teeth into on this issue is literature pertaining to the greco-roman household codes. Paul also addresses that in Ephesians 5-6, and Colossians 3.